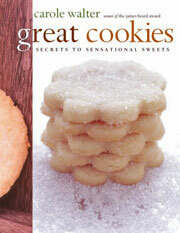 Just about any time is the right time for these impressive cookies whose creation is actually quite simple. Time-consuming, but simple. Not to mention stunning. Add the eggs whites gradually. Stir until a stiff dough forms. Divvy the dough into 3 portions. 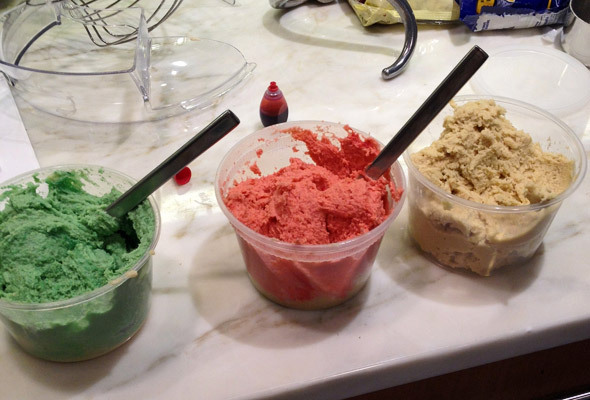 Tint each portion of dough a different color, leaving 1 portion plain if desired. Spread the dough in the pans, all the way into the corners. Bake the cakes until ever so barely browned at the edges. Let cool. Stack the cakes, sandwiching the layers with fruit preserves. Wrap the stacked cakes in plastic wrap. Weight the stack of sandwiched cake layers to compress. 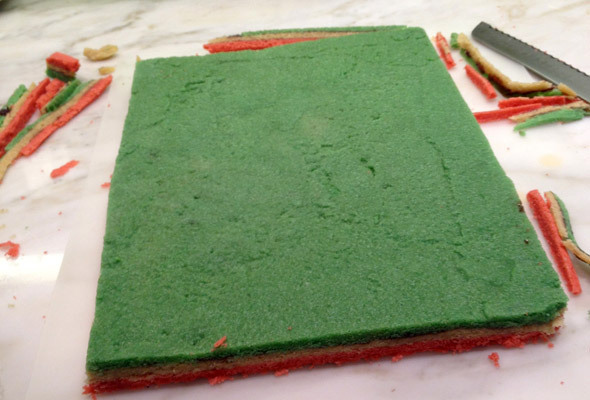 Trim the uneven edges of the stacked cake to make a neat rectangle. Cut the stacked cake into five strips of equal length. 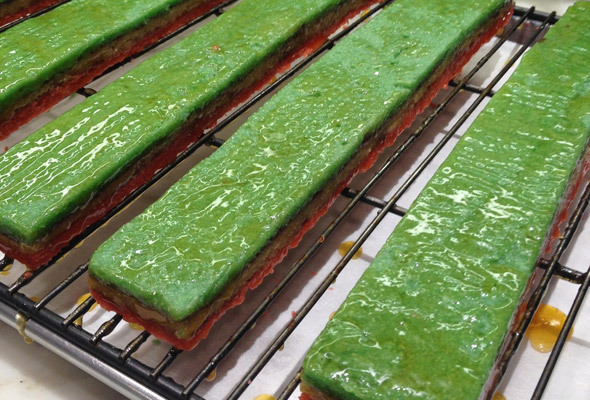 Brush the warm glaze on the strips of compressed cake. 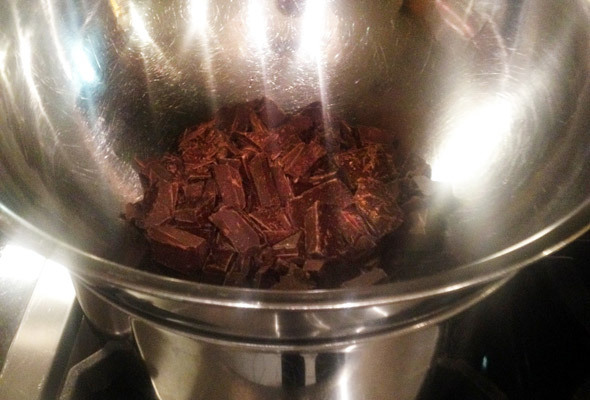 Melt the chocolate in a bowl set over simmering water. Slather the chocolate evenly over the strips. 1. Position the oven racks in the upper and lower thirds of the oven. Heat oven to 350°F (175°C). Lightly butter the bottom of three 12 1/4 x 8 1/4 disposible aluminum baking pans or three 1/4 sheet pans. Line the pans with parchment paper, then butter the parchment and the sides of each pan. 2. 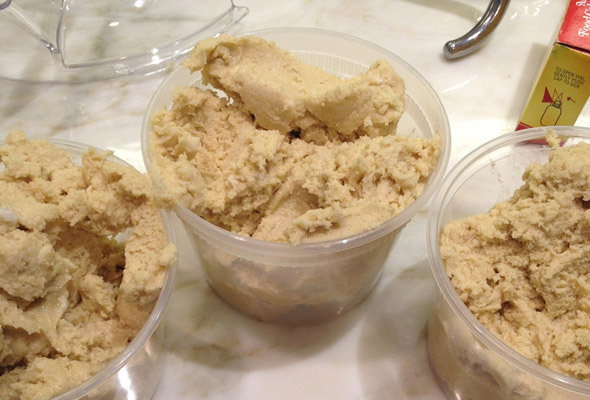 Break the almond paste into pieces and place it in the work bowl of a food processor fitted with the steel blade. Process for 10 to 15 seconds, or until finely chopped. Alternatively, shred the almond paste on a box grater. 3. 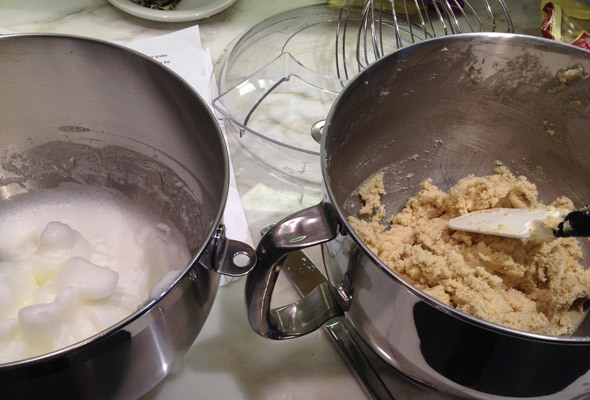 In the bowl of an electric mixer fitted with the paddle attachment, mix the butter on medium-low speed just until smooth. Increase the speed to medium, add the grated almond paste, and beat until lightened in color, about 2 minutes. Pour in the sugar in a steady stream, beating for 1 minute longer. Then add the egg yolks and the vanilla, beating well to combine. Scrape down the bowl as needed. 4. Combine salt and flour, and at low speed blend in three additions, just until incorporated. 5. 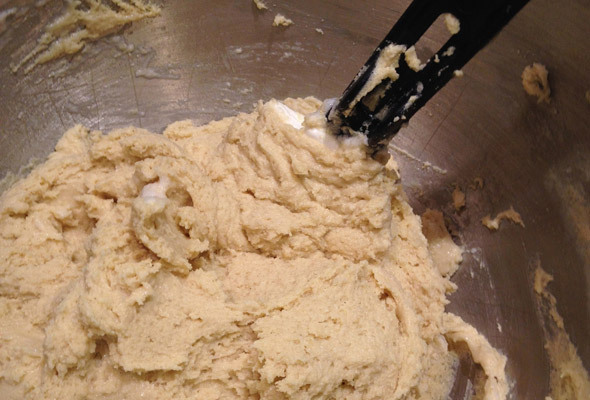 In a clean mixer bowl, using the whip attachment, beat the egg whites on medium speed until frothy. Increase the speed to medium-high and continue beating until firm peaks form. Using a large rubber spatula, gently fold 1/3 of the egg whites into the batter to lighten the mixture, then fold in the remaining egg whites in two more additions. The batter should actually be a stiff dough. 6. 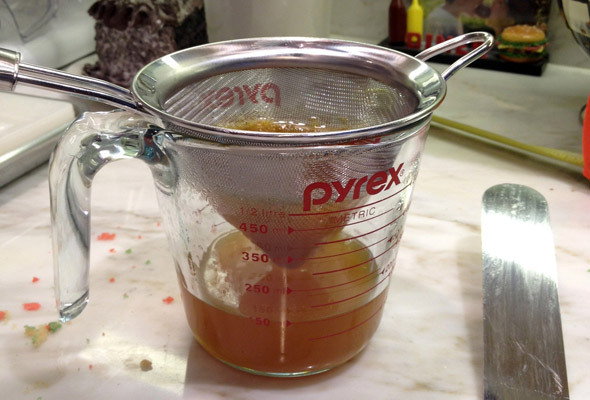 Divide the batter into thirds (each measuring approximately 1 2/3 cups) and place into three separate bowls. 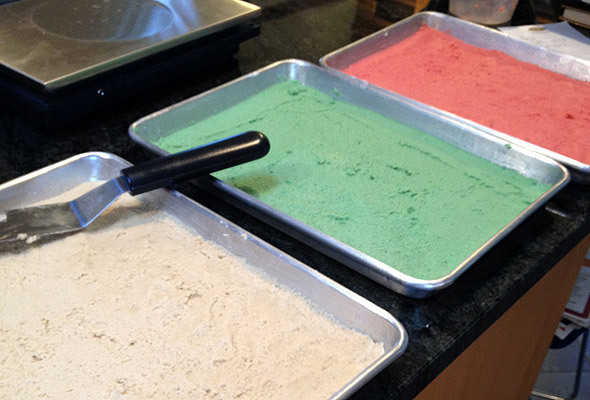 Tint one portion with the green food coloring, blending until evenly colored. Tint another portion with the red food coloring, again blending until evenly colored. The remaining batter is not colored. Spread the batters in the pans, using a small offset spatula to push the stiff batter into the corners of the pan and smooth the surface. Be sure the batter is evenly distributed, especially into the corners of the pans. If the batter is tricky to spread, try lightly wetting the back of the spatula with a very small amount of water. 7. 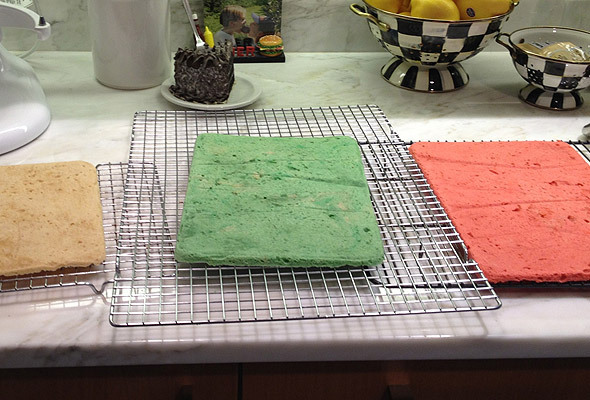 Bake the cakes for 10 to 12 minutes, or until the tops are firm to the touch but not browned. (If you’re going to err with the baking time, it’s actually better for the cakes to be slightly underdone as opposed to overdone.) Let the cakes rest in the pans on wire racks until cool enough to handle, then invert each pan and peel off the parchment. 8. 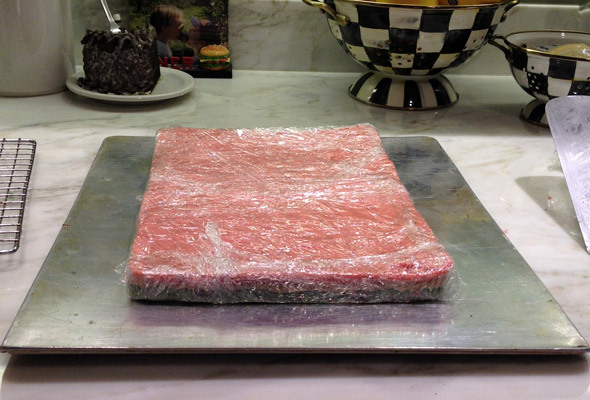 Have ready a large sheet of plastic wrap placed on a cookie sheet. Invert the green layer onto the plastic, top side down. Using a small offset spatula, spread the surface evenly with 2 tablespoons of the raspberry preserves. Place the plain layer, again top side down, on top of the raspberry preserves. Align the two layers and press them together. Spread 2 tablespoons of the raspberry preserves over the plain layer, again using a small offset spatula. 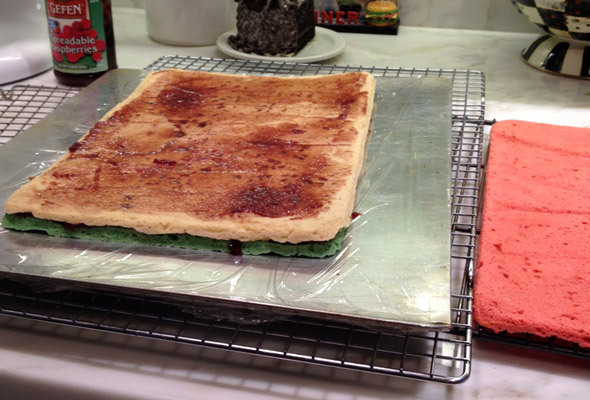 Then place the pink layer, top side up, on top of the raspberry preserves. Be sure that the three layers are evenly aligned, then press them together again. 9. 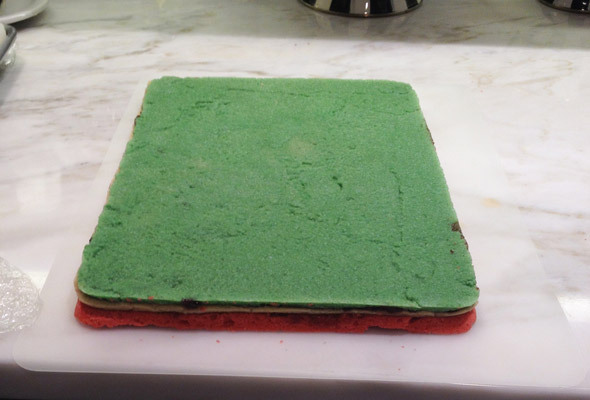 Wrap the layered stack tightly with plastic, sealing the ends securely, and place it on a clean cookie sheet. 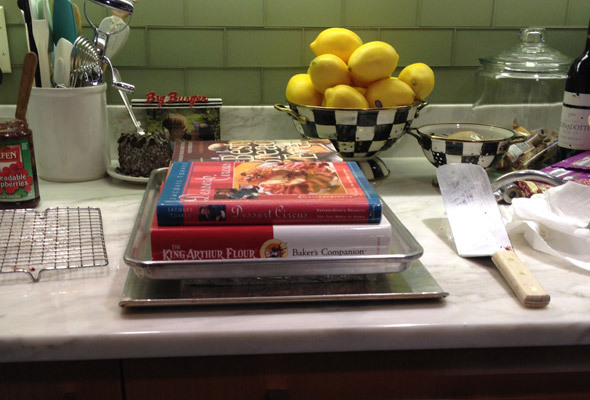 Place another cookie sheet on top of the wrapped stack and weight it with two or three heavy cookbooks to compress the layers. Let the stack rest at room temperature for at least 24 hours, turning it over once or twice during the weighting period. 11. To make the apricot glaze place the apricot preserves and 2 tablespoons water in a small saucepan. Bring to a boil, then simmer for 1 minute. Pass through a fine strainer into a bowl and discard the pulp. This can be made ahead and reheated just before using. Brush a thin layer of the warm glaze on the top and sides of each strip to seal the surface. Chances are you won’t use all the glaze. Let stand for 1/2 hour or longer. 13. Working one strip at a time, spoon about one-fifth of the melted chocolate down the length of the strip. Using a small offset spatula, spread the chocolate evenly over the top and sides, taking care to smooth all surfaces. Repeat with the remaining strips. 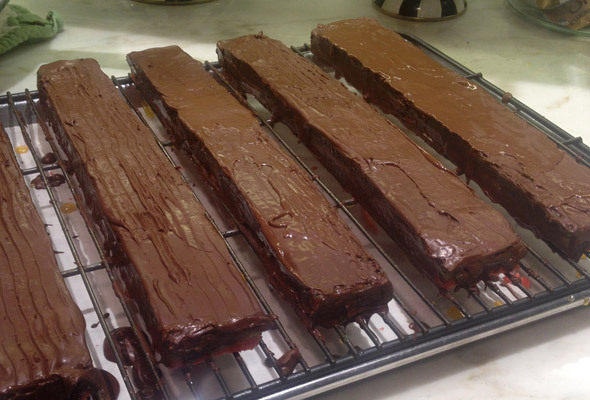 Let the strips stand at room temperature until the chocolate hardens. This can take up to several hours, depending on the temperature of the room and climate conditions. 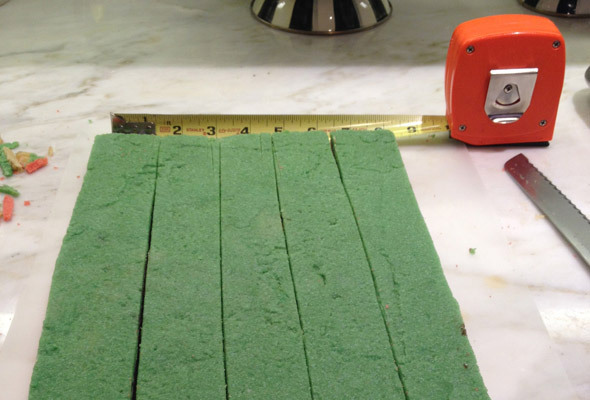 Cut each strip into 5/8-inch slices. Store in an airtight container, layered between strips of wax paper, for up to 3 weeks. (Note: These cookies may be frozen, preferably before slicing.) This cookie improves with age. 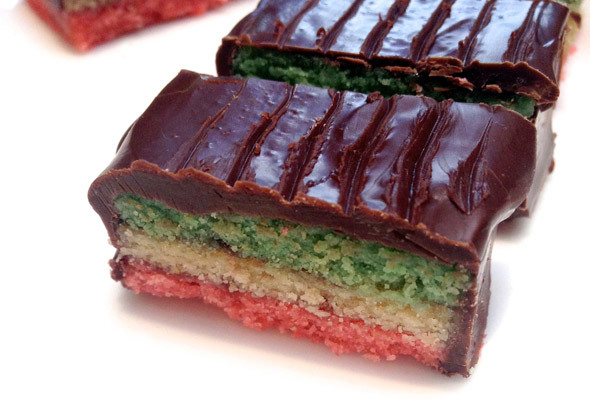 Rainbow Cookies Recipe © 2003 Carole Walter. All rights reserved. All recipes and photos used with permission of the publisher.